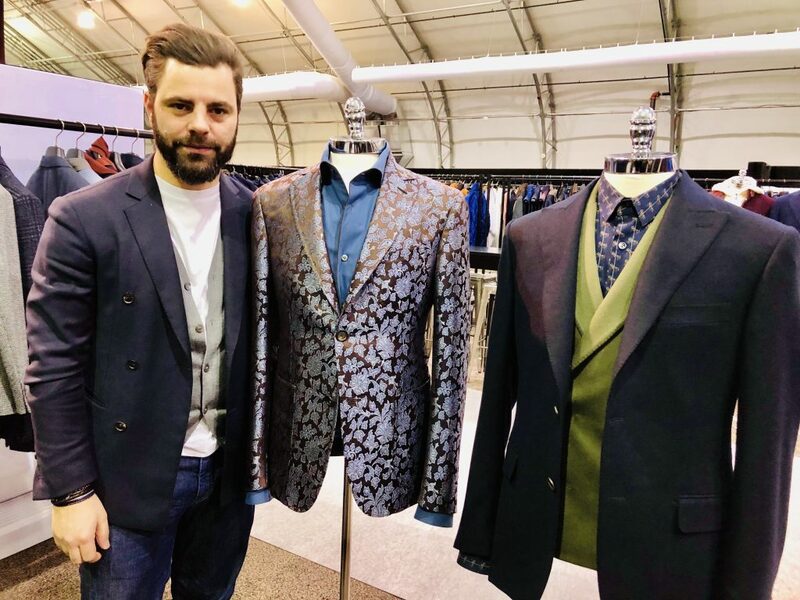 Despite the usual retailer complaints about too much sameness and too little design innovation, we found plenty of fresh looks at Project and Liberty that will surely spice up mundane wardrobes. The challenge for retailers: 1) curating the mix to attract new customers without alienating your existing audience; 2) not over-buying; 3) narrowing assortments to focus key items; and 4) staggering deliveries so fresh goods flow in monthly. 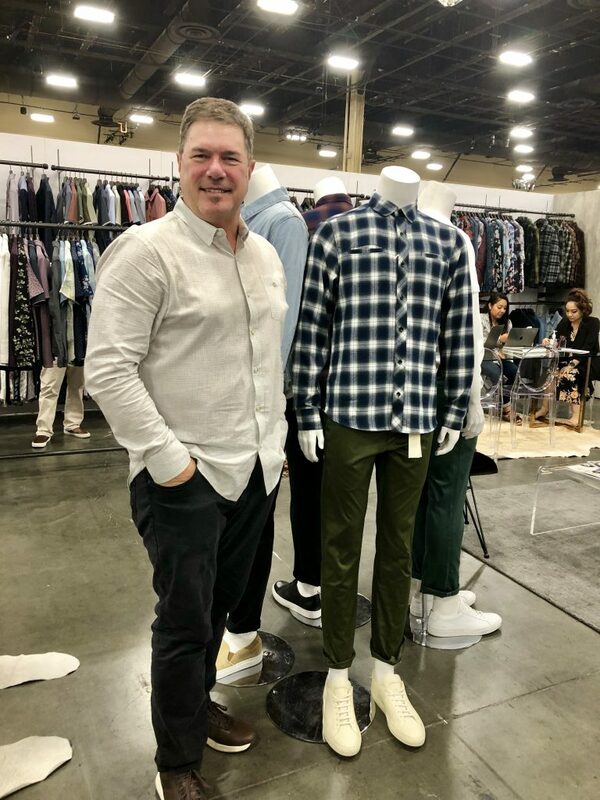 Key items/themes for the fall ‘19 season (as Doneger’s Tim Bess presented so well at his meeting): nostalgia, sweater knits, patterned topcoats, prep/varsity, corduroy, active-inspired, utility, and slouchy/oversized styles for a new generation. To start with the truly innovative, we loved Roi du Lac’s printed silk lounge pants ($395 suggested retail), shirts and quilted jackets. 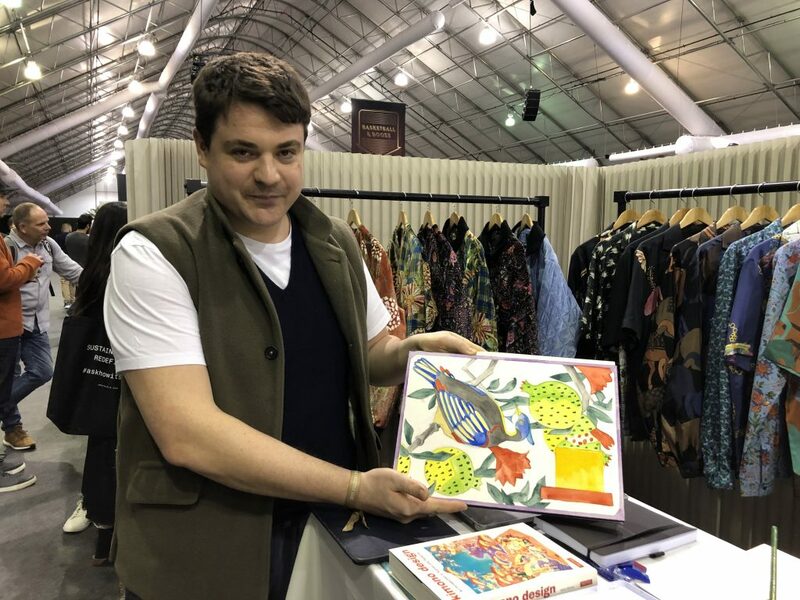 The Versace meets Etro-inspired prints are all derived from hand-painted artwork by Marco (owner/designer); production is in Italy near Como and this season’s inspiration was 18th century northern India. 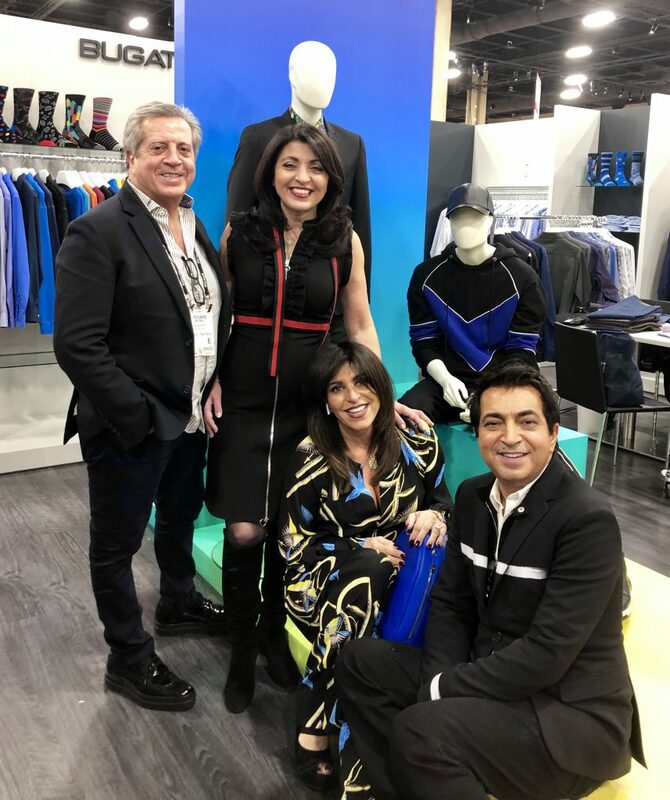 Tallia Sportswear, now produced by the Excalibur division of AW Chang Corp, is designed to integrate sportswear, furnishings and tailored clothing into a cohesive collection. 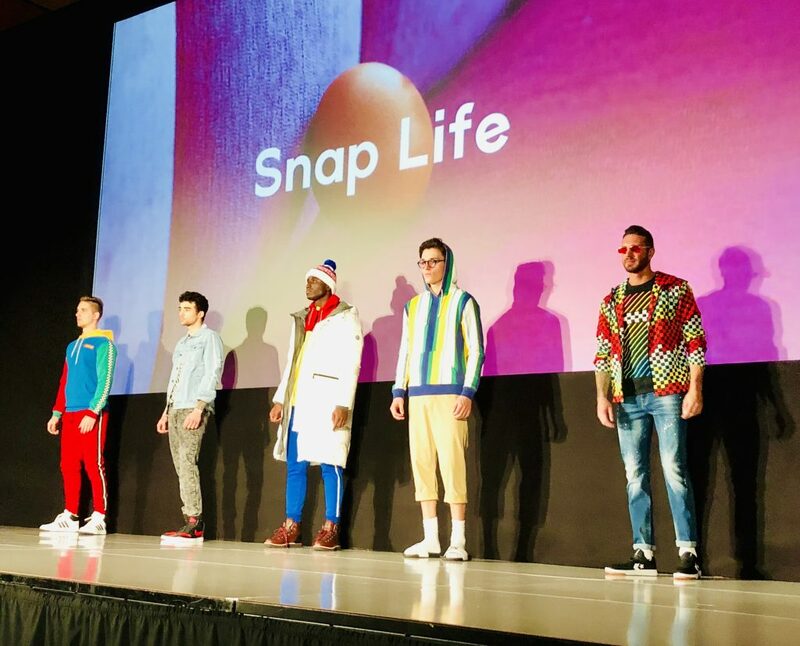 We especially loved their knit sportscoats ($198 suggested retail), their track jackets and pants, and a very cool digitally-printed trucker jacket ($148 suggested retail). Their classic monochromatic woven paisley shirts (in white on white, black on black, blue and burgundy) at $88 suggested retails look like winners! 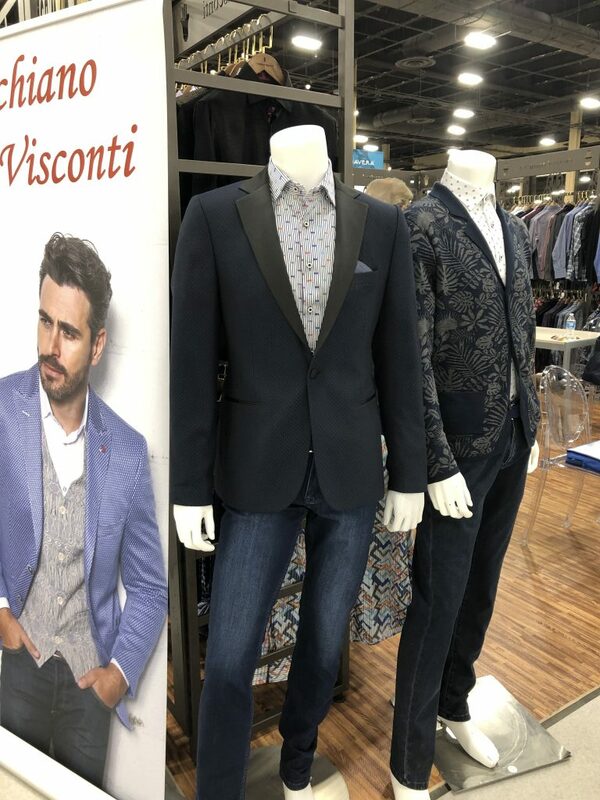 Luchiano Visconti president Jeff Simon describes the company’s growth strategy: no direct-to-consumer sales, no discounters, private label available to specialty stores at low minimums and designs that are all denim-friendly. 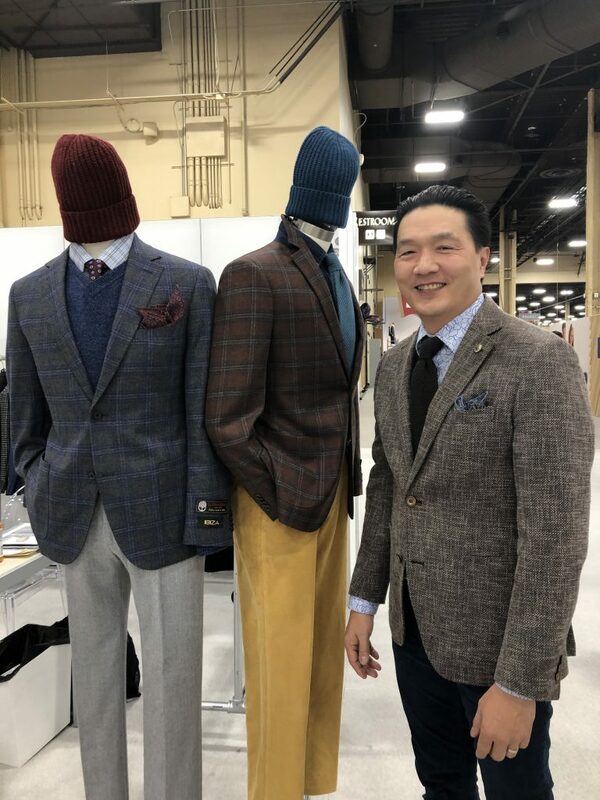 In addition to their trademark printed woven shirts, we loved the stretch cotton knit shirts, sweaters, versatile dinner jacket ($135 cost), relaxed knit sportcoat ($110) and—piece de resistance—a buttery soft goatskin shirtjac in a rich shade of cognac, $220 cost ($595 suggested retail). 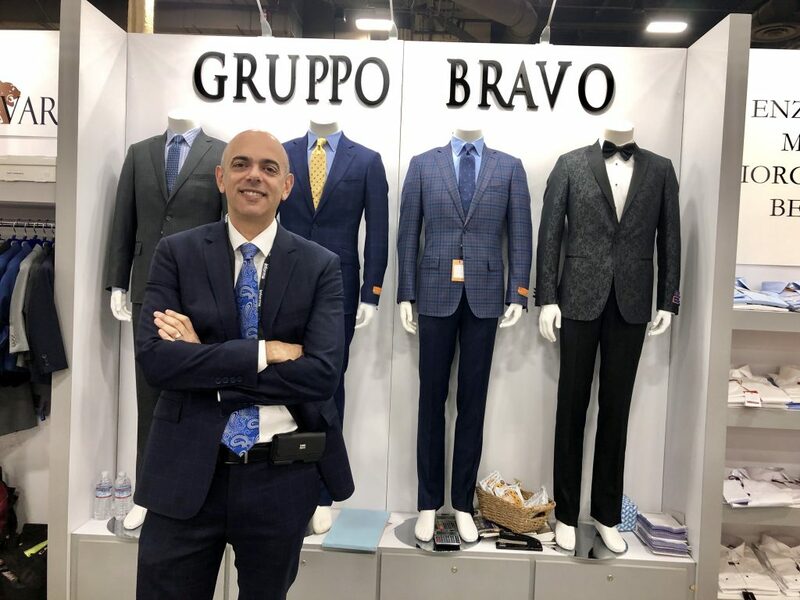 Pal Zileri sales director Alessandro Brunello explained how his iconic Italian tailored clothing brand is now taking a broader lifestyle approach. In addition to modern and timeless suits and sportscoats, the collection now features younger sportswear, footwear and accessories. 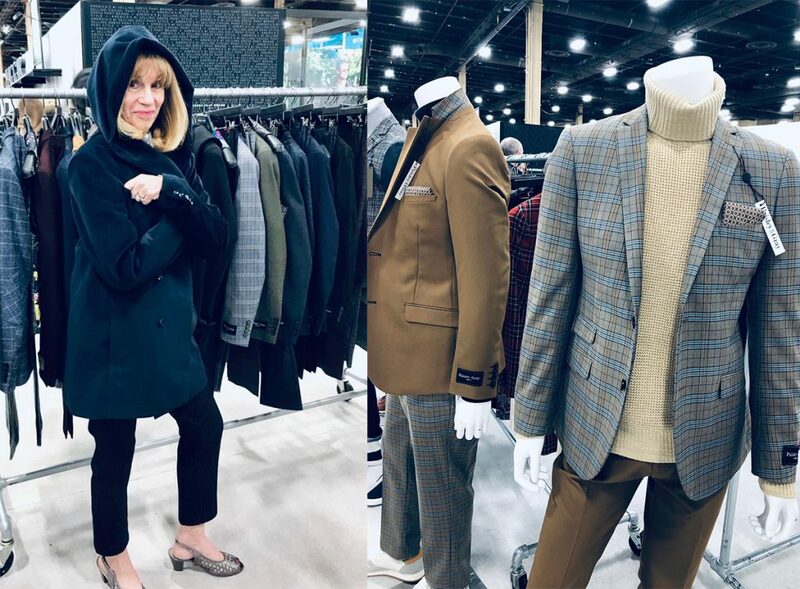 Our favorite pieces: a gorgeous DB cashmere sportcoat in a new modern model (4×2 with a somewhat curved lapel), a luscious cable knit sweater with suede trim, a perfect double-faced peacoat and a great grouping of hybrid fashion sneakers. Outerwear find of the season: the diverse selection of beautiful coats and jackets from Gruppo Bravo, most wholesaling from $65 to $79. Some very on-trend and sophisticated offerings with which retailers can make some money. Great margin potential on the clothing as well. 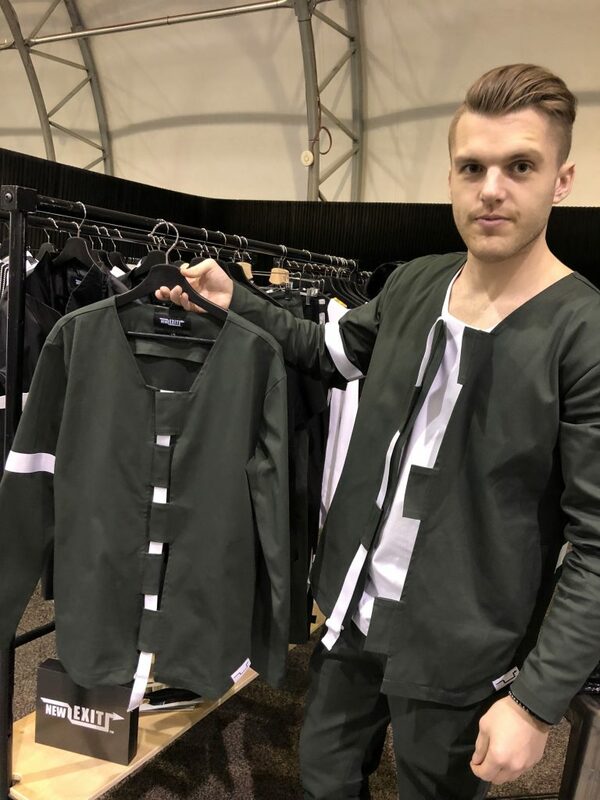 And speaking of margins, Greg at 7 Diamonds showed a value-priced fall ’19 collection of shirts, pants, jackets, and swimwear. 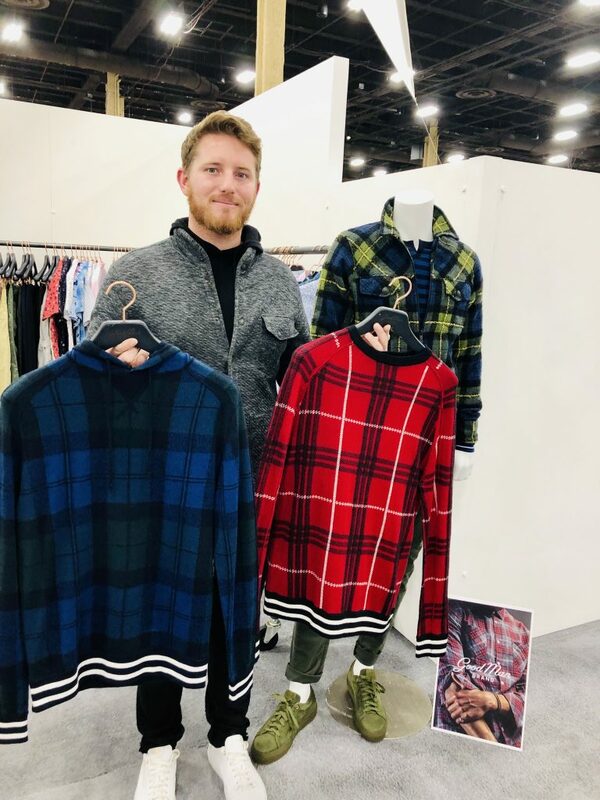 (This product is among the never-returned items in subscription boxes and the consumer reviews are raves…) Our favorite items: oversized flannel shirts, a sherpa-lined jean jacket ($89 retail! ), and the hybrid shorts that also work as swimwear ($25 for a suggested $60 retail). Also a great value: the four-way stretch five-pocket chinos in three inseam lengths retailing for $89. More softcoats can be found at Ibiza. 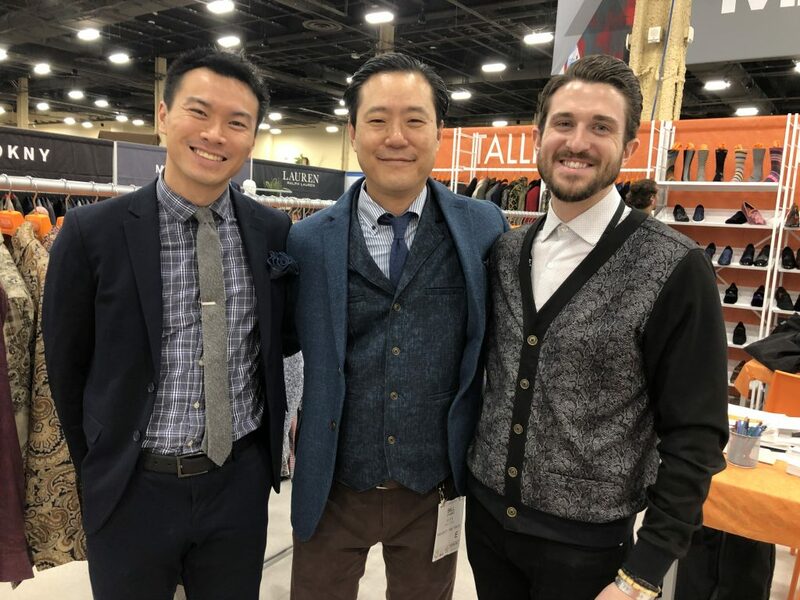 Patrick Chan showed us super-soft corduroys with 2 percent stretch, a beautiful knit jersey model in houndstooth ($179 cost), and the perfect layering piece: a quilted corduroy vest a $95 cost. 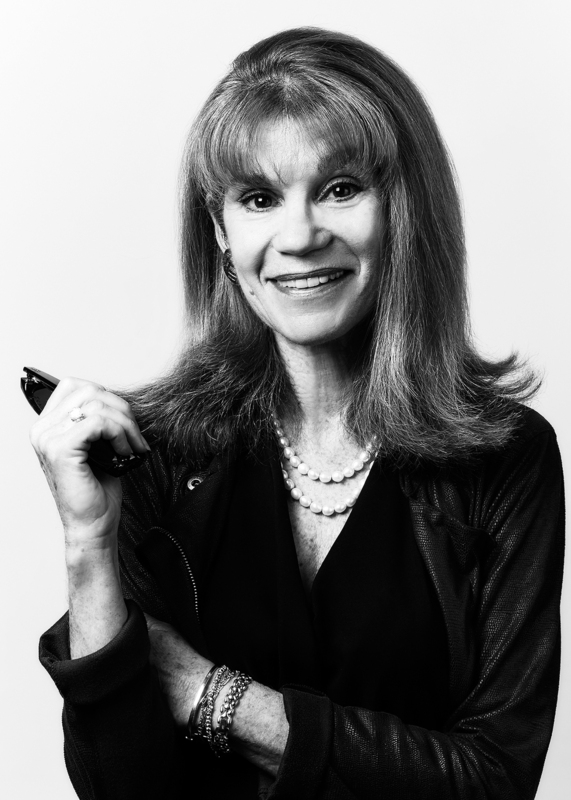 At Bugatchi, Cecile Revah talks about merchandising by delivery rather than by category, thereby encouraging a collection approach to the business. This extensive (and younger-looking) collection features everything from their famous printed shirts to track pants and jackets, beautiful Italian merino knits, wool/cashmere down-filled puffer jackets, fabulous footwear and more. We loved the perfect travel pants, the printed knit blazers and sweater jackets, and some great shoes and bags. If cozy and comfortable is more your style, M. Singer (now in its fifth year) is the perfect collection. 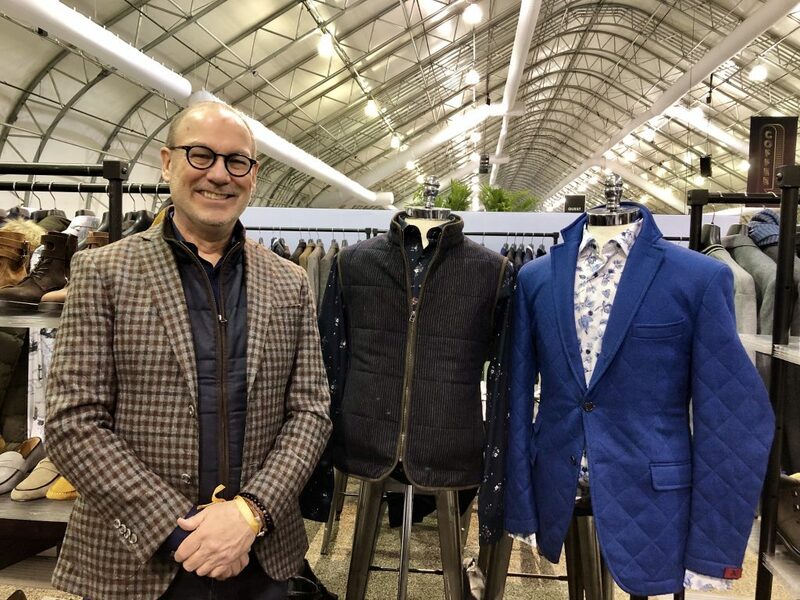 Matt Singer and team develop their own fabrics; everything is crafted in LA and the clothes are all destined to become live-in favorites. Our picks here: the super-soft cotton tees at $19 cost for a $48 suggested retail, the hoodies at $50 for suggested $125, the ultra-soft bamboo/viscose/cotton blends and, as modeled by Geoffrey, the shawl cardigan and five-pocket corduroy pant. 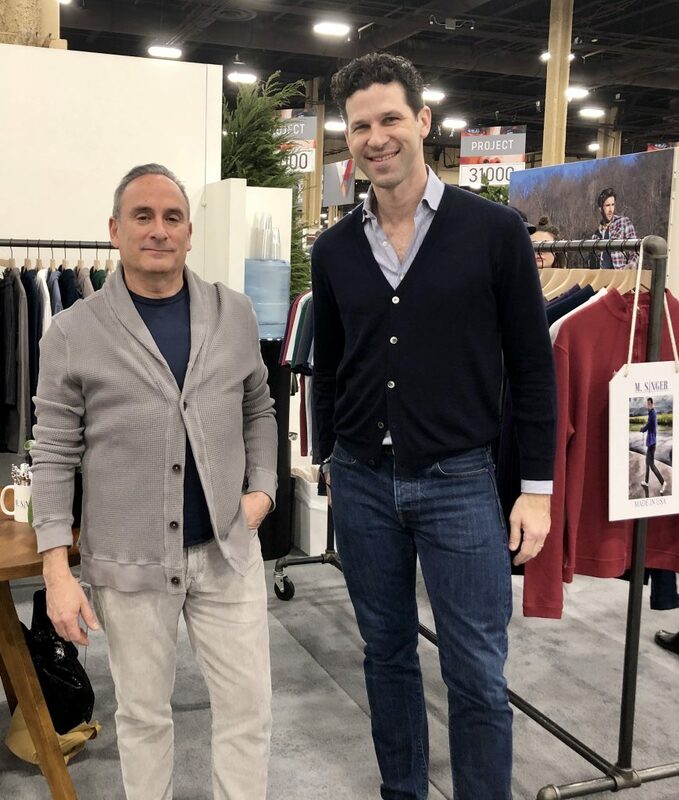 At Good Man Brand, we loved their padded flannel shirt-jackets, the French terry blazer, and some wonderful hooded merino plaids. Also, notable: their made-in-Italy vegetable-dyed Grade A nappa leather footwear with Margram sole, lined in calfskin so it molds to the foot, at a remarkable $198 suggested retail! 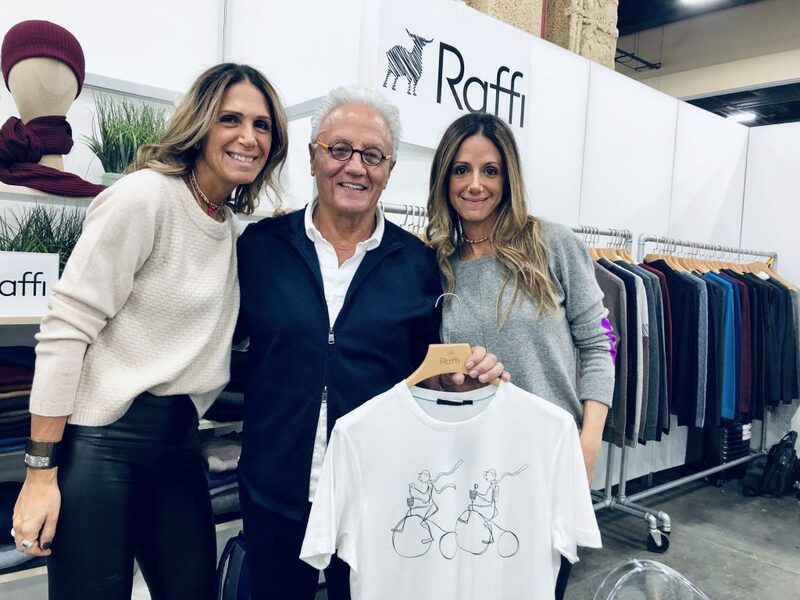 Hot at Raffi: their fabulous travel/athleisure separates! The drawstring travel pant is $175 retail, a perfect hoodie is $250 and a double zip jacket is $200. What’s new? Their new graphic designs on aqua cotton tees are whimsical and fun! As always, the collection offers retailers 70 percent margins. 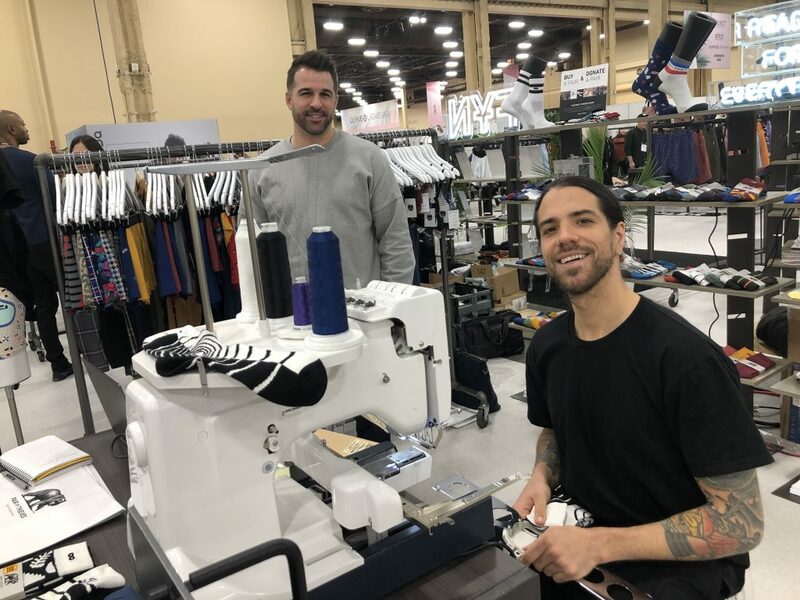 And at Roffe, a new collection of Jerry Garcia sportswear and dress shirts is creating much buzz for die-hard Deadheads and also a new generation of fans. Hangtags feature Jerry’s original artwork, and shirts are merchandised as individually numbered limited edition pieces. ($149 suggested retails). 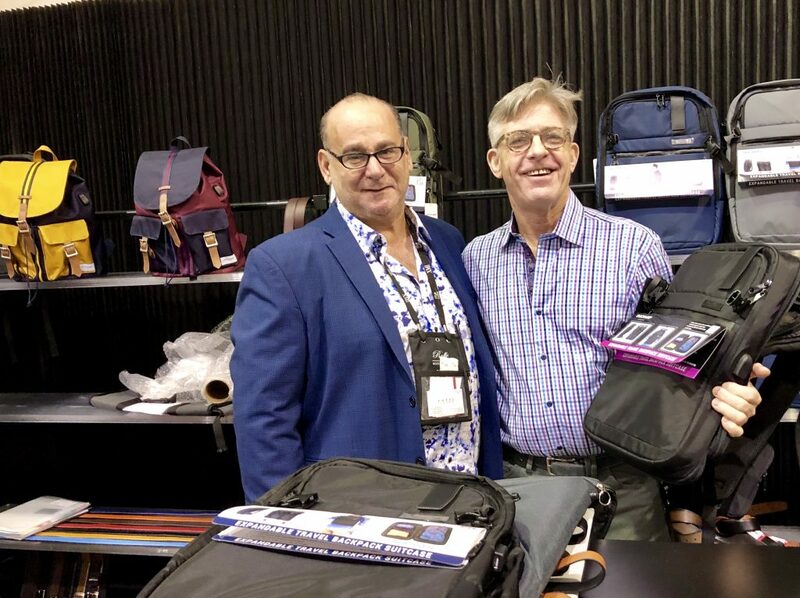 Also hot at Roffe, a great collection of travel bags under the Duchamp label that sold out for holiday in several upscale stores. Andy Carter is adding his talents here.